The Outcast Band bring a live performance like no other. The influences from folk, punk and rock are apparent but they have created a distintive sound which has earned them a reputation for giving what many have described as the best live music experience of their lives. With echoes of The Waterboys, New Model Army and The Levellers, the band produce a huge sound firmly based in rock and complemented by violin, mandolin and accordion. 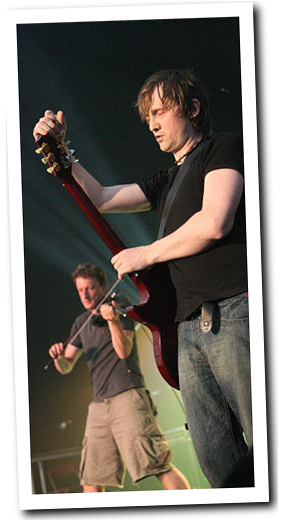 With songs such as Hurricane Day ("epic"- Classic Rock Society) and The Garden Song ("a wall of sound" � Get Ready To Rock) the band hold nothing back, giving the audience a performance packed full of raw emotion. The lyrical narrative of the songs, both stark and compelling, tells stories of struggles with the extremes of emotion and, although characterised by a distinct lack of optimism, there are "glimpses of stars from the gutter" - R2 Magazine. Reaching No. 2 in the Amazon pre-order chart with their latest album "The Longest Mile"
The Outcast Band are a hard hitting rock band from Stroud, blending folk and punk influences.